Photograph of Frances “Sissy” Farenthold and Jennifer Harbury at Harbury’s hunger strike in Guatemala City, Guatemala. In 1982, Farenthold made her first visit to El Salvador as a human rights observer. The delegation was led by Wayne Smith, a former diplomat to Cuba under President Jimmy Carter. Since then, she has visited El Salvador nine times, and traveled to Central America often to monitor and report on human rights. On one occasion in 1989, Farenthold met with the Salvadoran president to advocate for the release of detained human rights workers. She has also made several visits to other Central American countries, including Guatemala and Honduras. In the mid-1990s, Farenthold visited Guatemala with U.S. lawyer Jennifer Harbury, whose husband, Efraín Bámaca Velásquez, had been disappeared by the Guatemalan Army in 1992. Farenthold joined Harbury in advocating for U.S. acknowledgment of its involvement in the disappearance of Bámaca through CIA operatives and informants. 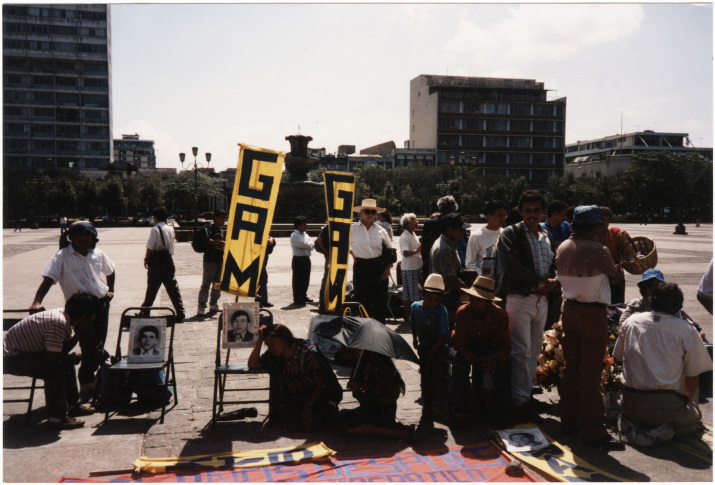 She testified before the Inter-American Court on Human Rights regarding the case, and in December 2000, the IACHR found the Guatemalan military guilty of the disappearance, torture, and murder of Bámaca. Upon returning home from her visits to the region, Farenthold speaks frequently and publicly about what she has seen, and consistently calls for changes in American foreign policy. Especially in the 1980’s, she sought to raise public awareness about the complicity of the U.S. in unjust wars, and took lobbying trips urging officials in the U.S. and abroad to rectify human rights abuses. 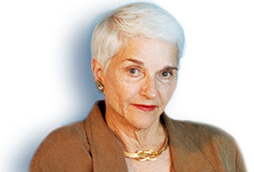 She consistently argued that U.S. backing of military governments in Central America was contrary to the cause of peace in the region. As recently as spring of 2014, Farenthold traveled to El Salvador with the Salvadoran Humanitarian Aid, Research and Education Foundation (SHARE) to help monitor elections and nurture civic engagement in the region. She plans to attend Archbishop Arnulfo Romero’s beatification ceremony in May 2015. Romero, who was the Archbishop of El Salvador, was murdered on March 24, 1980, because of his opposition to violence and his courageous defense of the poor in his country. Interview with Francisco Lopez, December 10, 2013.